After a bitter battle for Associate Justice Brett Kavanaugh’s confirmation, what’s to celebrate? According to an MSN article, “The Winners and Losers in the Supreme Court Fight,” one group on the list of losers is “Senate moderates.” That seems uncertain in light of Sen. Susan Collins (D-CT) statement on why she supported Judge Kavanaugh in the end. Do these endorsements sound encouraging and make you feel confident that Justice Kavanaugh would overturn Roe v. Wade? Quartz reports: “Under Chief Justice John Roberts, the Supreme Court has been particularly disinclined to overrule precedent.” We don’t know what Justice Kavanaugh will do should there be a challenge to Roe v. Wade. Until the 11th hour Ford accusation came along, pro-life conservatives were watching the Kavanaugh hearings with due respect, concern and skepticism. I wrote a previous piece expressing my concerns that Judge Kavanaugh is not a Constitutional conservative, and I voiced strong support for Judge Amy Coney Barrett for the High Court. There is nothing I want more than to see someone like Judge Barrett, a strong pro-life conservative, nominated. Then the Ford accusation happened. Suddenly, Judge Kavanaugh’s conservative credentials took a back seat to defending his integrity because of the brutal treatment he received. Conservatives were diverted from the main issue – would Judge Kavanaugh be loyal to the original intent of the Constitution and protect the right to life for the unborn - to the outrageous daily disruptions by radical leftists and their Soros-funded protesters. Angry protests and confrontations in restaurants with prominent Republicans, including Sen. Ted Cruz (R-TX), left Sen. Grassley and others on the Senate Judiciary Committee with no option but to intervene and avert a crisis. Judge Kavanaugh responded to Ford’s accusations with courage and dignity, considering her allegations nearly ruined his career. Conservatives reacted to the histrionics unfolding everywhere in which due process and presumption of innocence was being dismantled by militant reactionaries. It became necessary to rally behind Judge Kavanaugh. There was a shift from concern over the judge’s judicial philosophy to saving the integrity of the nomination process and avoiding anarchy, which the Democrats were encouraging with their inflammatory rhetoric. With the sole exception of Sen. Joe Manchin (D-WV) who voted yes to confirm, all the Democrats voted as a bloc against Judge Kavanaugh. They are only interested in appealing to their pro-abortion base and big money donors. Had Judge Amy Coney Barrett been the nominee, she would not have been confirmed. A Barrett nomination would have meant defending the most staunchly pro-life judge since Justices Clarence Thomas and Antonin Scalia were confirmed. The GOP establishment loathes the pro-life base. It’s time to face that reality. The result is that more Senate Republicans would have joined the three or four usual suspects and opposed Judge Barrett’s nomination. There is a difference between saying you are pro-life and acting on it by committing to end legal abortion altogether. An example of that is Gov. John Kasich (R-Ohio), who signed a 20-week abortion ban but vetoed the Heartbeat Bill. If there are pro-life frauds among the GOP senators, a Judge Barrett nomination would have revealed them. That would be a disaster for the Republicans, especially in an election year. Isn’t deceiving the conservative base what they have always been about? Moreover, the Democrats would not hesitate to make up a story to ruin Judge Barrett's reputation. Recall how Sen. Diane Feinstein interrogated her and attacked her religious beliefs with this remark: “The dogma lives loudly within you.” There is nothing a militant pro-abortion feminist hates more than a pro-life feminist with brains, G-d and grit, and Judge Barrett has all three. They smeared Gov. Sarah Palin in 2008; they would do the same to Judge Barrett. 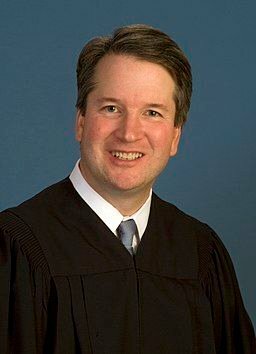 That’s why had Judge Kavanaugh not been confirmed, President Trump would have passed over Judge Amy Coney Barrett. He would pick someone else on his list that adheres to the principle of “stare decisis” or “precedent on precedent.” The Democrats may have nothing to worry about. The irony is that pro-lifers are the true progressives. We pay attention to science. Ultrasound 3D technology not available in 1973 or 1993 (when Casey was decided) now conclusively proves the full humanity of the unborn child. If evidence can be introduced into a new Roe v. Wade challenge, perhaps that is our best shot at ending abortion. It may take a Human Life Amendment to do it. Republicans are celebrating the confirmation of Associate Justice Brett Kavanaugh after a bitter fight, the worst I’ve ever seen to take place during a confirmation hearing. It should never be allowed to happen again. The Democratic Party and their allies are hostile to our Constitution and are willing to destroy anyone’s civil rights to get their agenda done, and that is abhorrent. This time they were stopped. Will the lessons learned tame the Democrats? Not on their lives. A 50-48 confirmation vote along party lines is nothing to celebrate, and our Senate remains divided.